Our public investment should be contingent on a promise to come home! Minister of Education Ronald Jones officiated at an awards ceremony last Tuesday where he congratulated the National Development Scholarship winners. Although the Minister urged the scholars to return to the island and contribute to its continued development, this is entirely optional. I think it’s time to make this return to Barbados a formal contract obligation with major scholarships. The Minister made the statement that Barbados is funding education in areas where we lack personnel: business intelligence, statistics, theatre management, disaster management, paediatric cardiology, education policy and planning, language pathology, gerontology, copyright law, archives conservation, urology and environmental engineering. That is the purpose of our public funding of this higher education abroad, so I think it is only fair and wise that we demand four years in return from the beneficiary of any major scholarship. Once they have served their four years living and working in Barbados, they would be free to go abroad, but the hope is that the young professionals will settle down in Barbados and in so doing help in the development of their country. This is only fair if tax-payer monies are funding major studies. Without a formal commitment, these scholarships are just another free giveaway that we cannot afford. 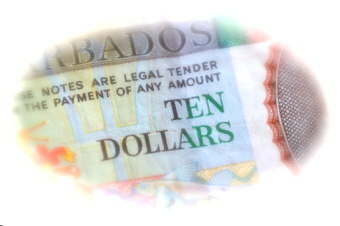 With a formal commitment, the scholarships become a true investment in the future of Barbados. Reflections and Attractions – A ole time family affair. Bring out the family, come and journey into the past. Plenty of food and drinks. Meet the 2011 St John Parish Ambassadors. Face Painting for the children (and adult children too!). Wonderful music and a good time will be had by all. This announcement by Mr. Gibson was highly inappropriate and echos some of the concerns earlier put forward by former Attorney General Dale Marshall. I am not writing this letter to ‘pile on’ to our newly appointed Chief Justice, Mr. Marston Gibson. I am writing because I too have concerns that his style of talking in the news media might not be a good fit with what we expect from our Judges in Barbados. I hope that Chief Justice Gibson changes his standards in this area to reflect a less American approach. I was no fan of David Simmons when he was Chief Justice, but I cannot remember when I was ever concerned about him giving a press interview for all the time he was Chief Justice. He maintained the dignity of the position when he talked with the press and no one can take that from Sir David. Marshall also said that while Gibson declared his intention to get rid of the assizes system, the former chief justice had already done that years ago. Mr. Gibson is our new Chief Justice and I will give him the respect due of the office, but if this latest little publicity stunt of self-announcement by Mr. Gibson is to be the new standard for the conduct of our Chief Justice, he will start to distance himself from the very justice system he seeks to administer.